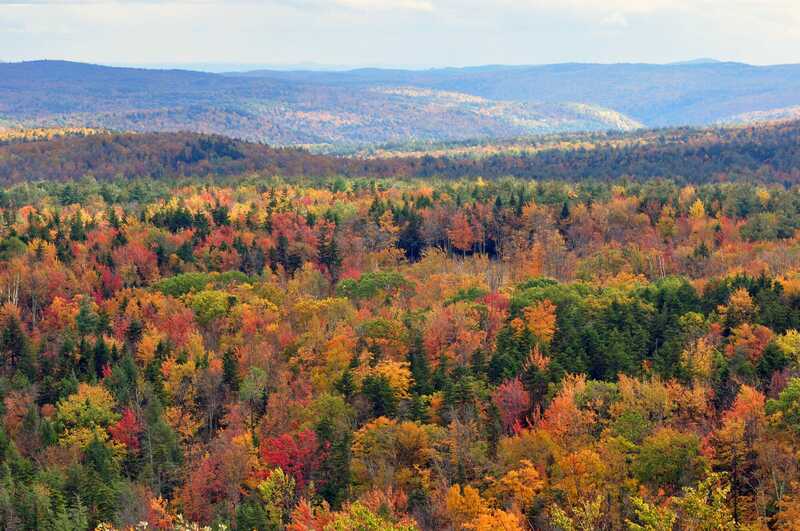 Here in New England we have a number of species of trees in our forests, which is why we have such spectacular foliage. One of my personal favorite trees is the Eastern hemlock, Tsuga canadensis, a coniferous water-loving species. Hemlock is one of the species we recommend for a number of reasons: it is durable, available locally, is a relatively strong species, and takes a stain very well. 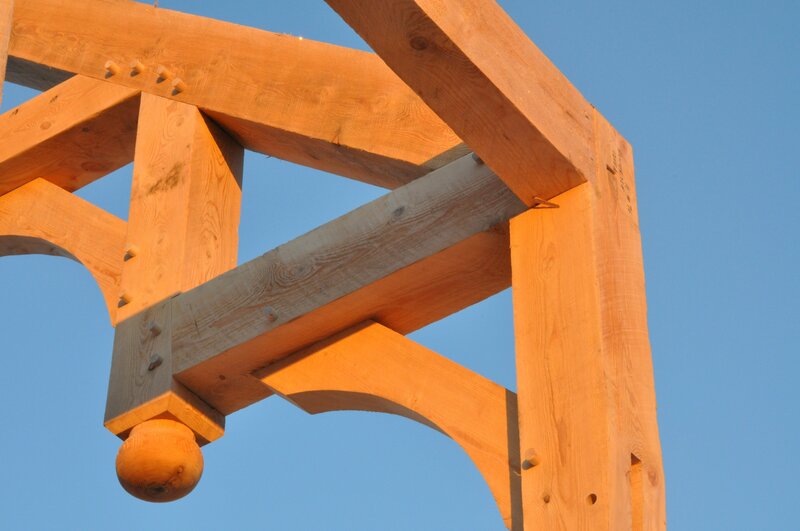 Traditional joinery or steel joinery are both possibilities with hemlock. 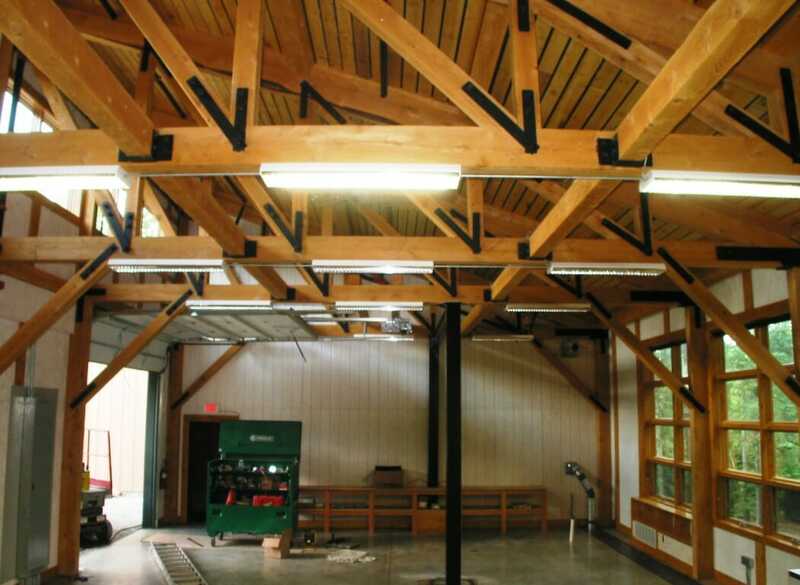 We built the timber frame for this school in Northern Vermont using hemlock beams and steel plates. And let’s not forget our very popular Texas Barn in Shiner, TX! Hemlock was the species used in this barn. What kind of species do you like? If you have any questions, we encourage you to get in contact, ask an expert, or share your thoughts in the comment section below! I personally like douglas fir. Though it’s not local, it has greater strength and I like the red hue. Hemlock, rough sawn and semi- sanded with golden oak stain applied. How’s that for specific? Great post Mike! I think hand hewn Hemlock will be my wood of choice. Then again, my wife says were using Douglas Fir. Guess I’ll have to use Hemlock for the barn/ workshop. 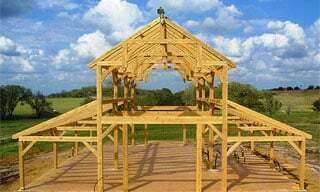 I have been told and have read that it is fine to build a hemlock timber frame home with green ( not dried ) timbers. Just looking for some reassurance. I will be building with plates not joints. Thanks for your comment. It is fine to build with green Hemlock. Most of the Hemlock we build with is green as well. Good luck with your project! How long can Eastern Hemlock dry before its too hard to nail? We’ve never heard of Eastern Hemlock being so dry that it’s too hard to nail. So we’re going to say, never.